That a country’s people can be roughly described by the sport they patronize the most is a common enough generalization. So we thought why not see if the same principle can be applied to the USA by the genres of popular TV shows people across the 50 states watch. For this we have used our most downloaded PowerPoint map of USA. After extensive research from IMDB, we finally came up with a list of shows ranging from the most recent Breaking Bad to the Texas Ranger to The Office. After breaking down the shows by genres, we used second slide of the USA map and from a legend changed the colors of the states. Then of course you’d have wanted to know which were these shows so we duplicated the genre slide and replaced the state names with the show’s title. In both cases, the slide is very easy to work with and took me less than an hour to put it all up. With a map that allows for such flexibility in terms of colors, text or resizing, you shouldn’t be surprised if your research: preparation ratio is 5:1. After making the first two slides, I liked them so much that I even created an infographic! 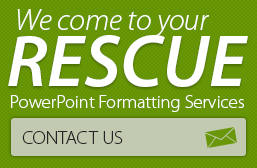 And if you’re familiar with some PowerPoint tips and tricks, then you can get the work done even much faster. Coming back to the maps above, I can’t tell if the people residing in states which love comedy would be more fun compared to those who love crime or drama. But it’s still great to see that close to half the states have comedy as their preferred couch companion. 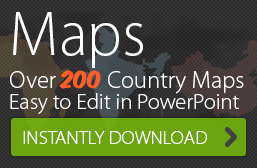 Watch out for more PowerPoint map samples!